Data and analytics are now key to business decision making, driving research, and automating human tasks. However, finding value from data requires more than just using tools but rather also interpreting and bringing meaningful insights from hidden patterns. 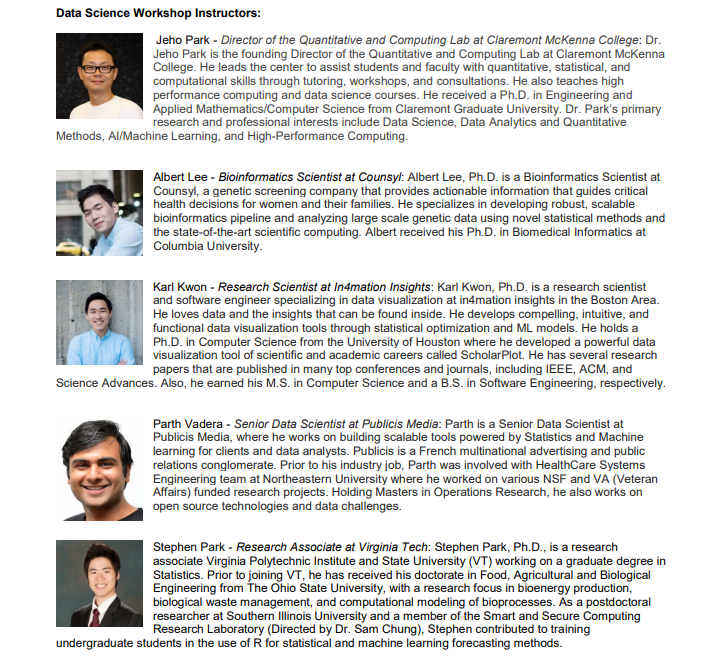 This Data Science Workshop (DSW) is a hands-on crash-course to the world of data analysis and modeling using popular open source tools; R or Python. Machine Learning Models and Applications, e.g. Multivariate Analysis, Random Forest, SVM, Pattern Recognition, Text Mining, Neural Networks. Seat reservation is required by July 23, 2018 using the form below. Seat reservation confirmation will be provided by July 27, 2018. 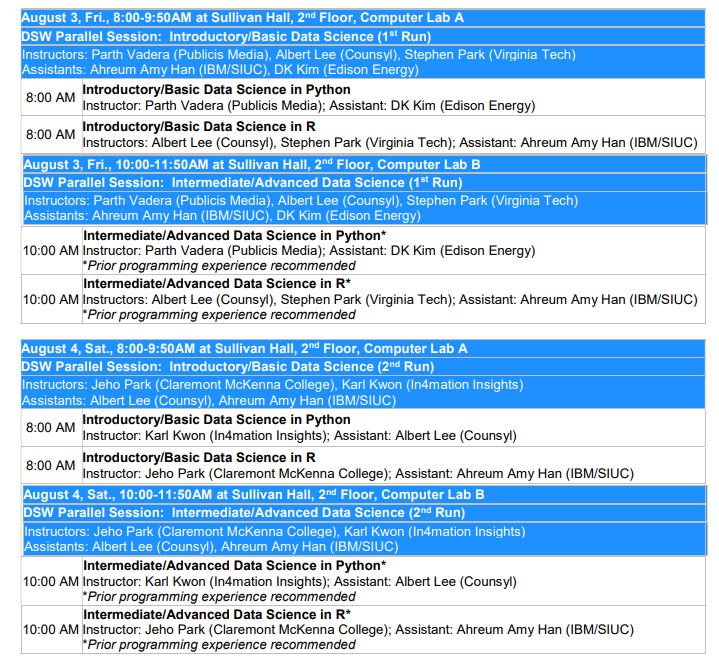 Limited 12 seats for each parallel session. Priority given to professionals in industry and academia with appropriate skill level. Waitlist is available. Registration fee for workshop is included in the general UKC registration. Certificate of completion from UKC provided for each workshop session. 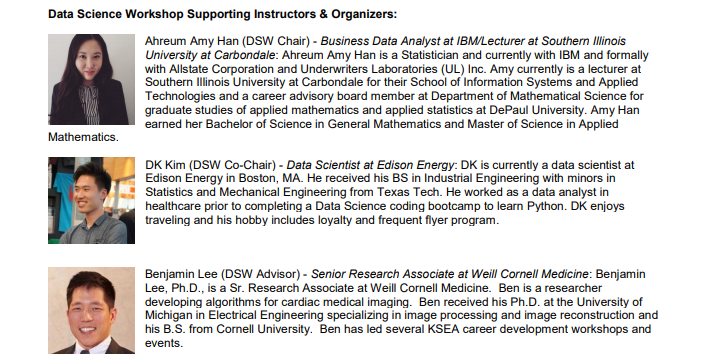 List of workshop instructors will be provided as soon as they become available.